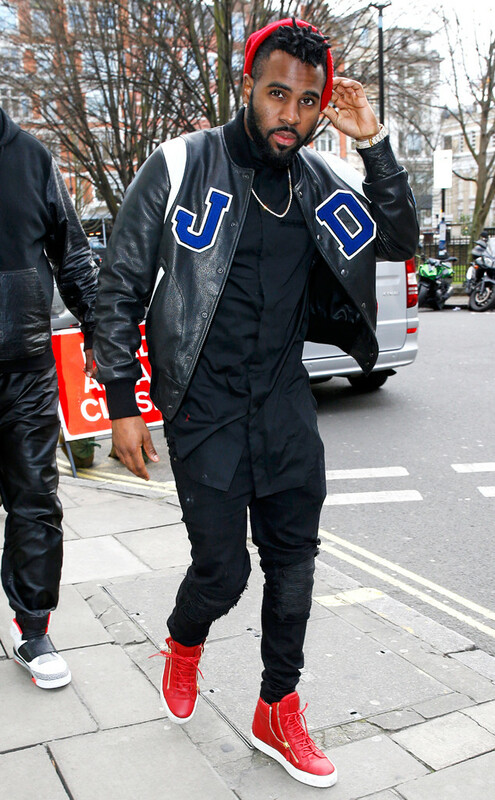 Jason Derulo is in London y'all! 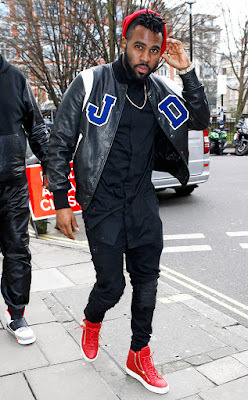 The R&B star visited the BBC Radio One Studios in London wearing Giuseppe Zanotti red embellished gold-tone metal flames side zip cruel summer high top sneakers, all black, and a customized JD varsity bomber jacket. Not forgetting the red beanie!